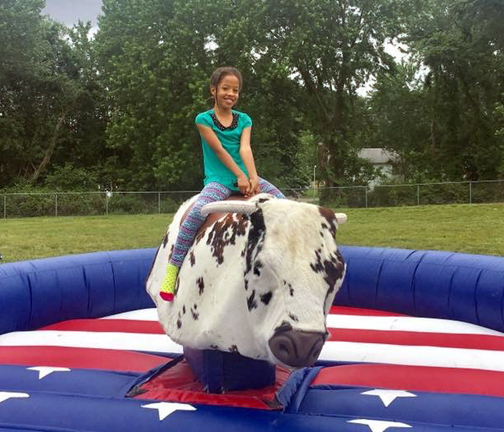 Mechanical Bull Rental for your western theme party in MD DC VA or PA - See if you can stay on for 8 seconds! Mechanical Bull - See if you can stay on the bull for a full 8 seconds. The authentic looking bull will be a great crowd pleaser to your party. Our operators can manually set 10 different speeds - creating fun for all skill levels.